In the summer of 1937, with the Depression deep and World War II looming, a California crime stunned an already grim nation. Three little girls were lured away from a neighborhood park to unthinkable deaths. After a frantic week-long manhunt for the killer, a suspect emerged, and his sensational trial captivated audiences from coast to coast. Justice was swift, and the condemned man was buried away with the horrifying story. 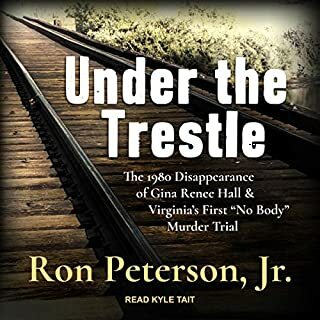 But decades later, Pamela Everett, a lawyer and former journalist, starts digging, following up a cryptic comment her father once made about losing two of his sisters. 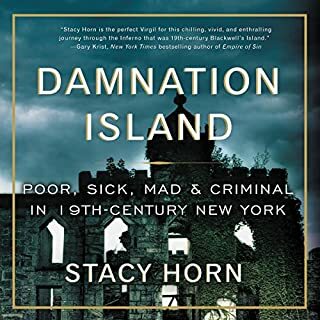 Her journey is uniquely personal as she uncovers her family's secret history, but the investigation quickly takes unexpected turns into her professional wheelhouse. ©2018 Pamela Everett (P)2018 Brilliance Publishing, Inc., all rights reserved. Masterful presentation of secrets and crime case! Excellent book! Could not put this book down until it was finished! 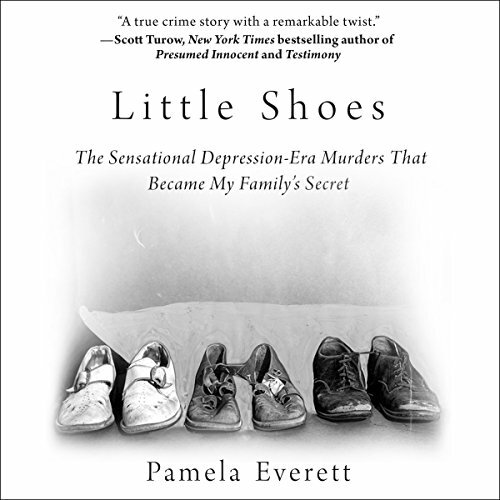 The author, Pamela Everett, must be quite the attorney and is certainly a masterful storyteller presenting the mystery of a family secret that had been buried for nearly 80 years but had impacted even her life in ways she did not know until the secret and the crime was unearthed. 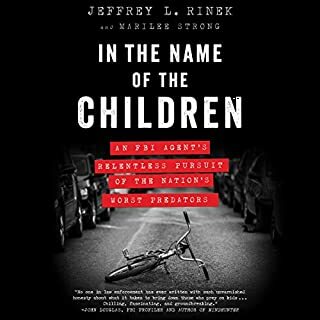 Three missing children were found murdered, the search for the culprit(s), the witnesses and flaws in memory, the evidence, the prosecution, the defendant, the defense attorneys, cases that might have similar elements, the judge, the jury, San Quentin, the governor--all blended masterfully into a thriller to the very end. Get this book now. Sad true story of lost innocent lives. 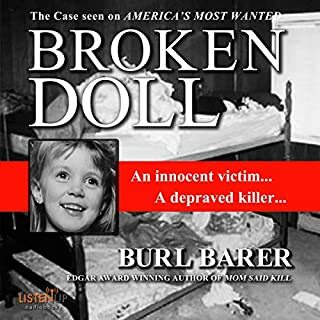 The author discovered that two of her aunts had been murdered as children and that the man arrested and eventually executed for the crime mostly likely was innocent. So much tragic loss! It’s a well written book and the narrator does an excellent, respectful job of reading it aloud. I was very moved by this story. I highly recommend it. This account of the 1937 kidnapping and murder of three little girls and the trial of a feeble-minded man—probably innocent—is heartbreaking. Pamela Everett, niece of two of the victims, uncovered the details of her family’s tragedy nearly 80 years later, identifying police and legal errors along the way, explaining the ramifications of each one admirably. The only character she really is able to develop fully, however, is the accused—a neighborhood crossing guard who confessed to the crimes for the attention he received, not understanding the gravity of his situation. The narrator’s overdone enunciation is distracting and prissy and becomes annoying very quickly. Otherwise, this audible title is riveting. My first reaction was that the summary had over-promised what the author was going to present. Looking back though, I'm willing to acknowledge that I may have read more into it than was strictly stated. While not deceptive, I do think the summary leaves an impression that there may be more than is actually in the book. As it is, the story is a fairly dry, methodical presentation of a crime, investigation, and trial. In terms of problems within the criminal justice system, it has some value. 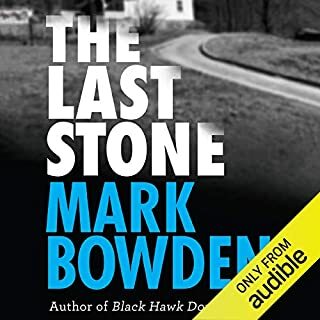 However, the connection of police and court procedure with the actual crime is a little tenuous, relying a bit too much on the author's familial interest. The narrator reads well, but has just enough obvious mispronunciations to be distracting. Not egregious by any means, but just enough to make the listener wonder about the diligence of the recording and editing process. it sounds good or no one ever told her , but "d" at the end of a word should not sound like a "t". It drove me crazy ...even made me decide the author was wrong...horrible. What a well thought out narrative, a dreadful story and sad legacy told with care and respect for the little victims. 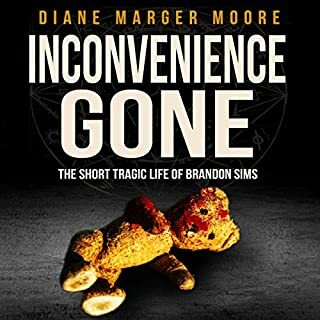 Personal and moving, this true crime story also carries a very powerful message about capital punishment, despite the author's relationship to the young victims. The premise of this story is great. There are bones that could be built on here, and there was some great research based content, but it’s just to shallow. Some characters/roles are very under developed and leaving you wanting to know more. The narrator has a very distinct speech pattern that becomes very tiresome and irritating.